Twisted Sister Studios in Toronto takes a modern approach to yoga and dance. Owner Dana Gudelis is a yoga instructor and long-time dancer who specializes in Western Swing Dancing. She approaches everything with passion. In addition to the meditative and relaxation aspects of yoga, Dana also loves power yoga where strength building and rigorous exercise bring a fresh perspective to an ancient art. Balance in mental and physical health is also a key component. 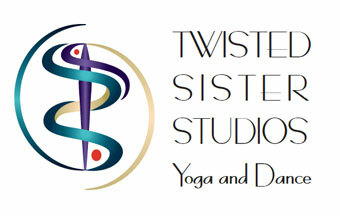 Click here to see other proposed samples of Twisted Sister Studios logo.